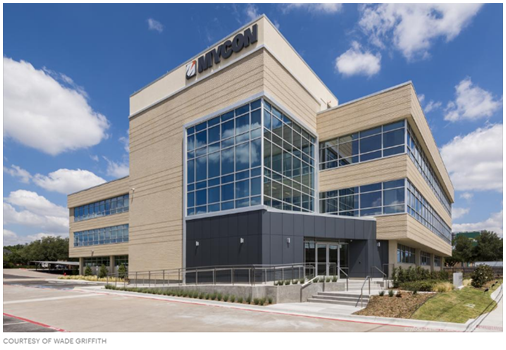 ​​​​​ DALLAS – North Texas general contractor, MYCON General Contractors, finished renovations to its new corporate headquarters building along the Dallas North Tollway. The 30-year-old general contracting company acquired the 50,205-sf building along the Dallas North Tollway in December 2015, and began to re-skin, renovate and upgrade the interior of the 37-year-old building on the 1.9-acre site at 17311 Dallas Pkwy. MYCON General Contractors decided to set up its new North Texas corporate office on the site to be in close proximity to existing and future clientele, said CEO Charles Myers. The firm moved its corporate office from McKinney to Dallas as part of the completion of the building. ​Want more data? See DFW Office Market Research.